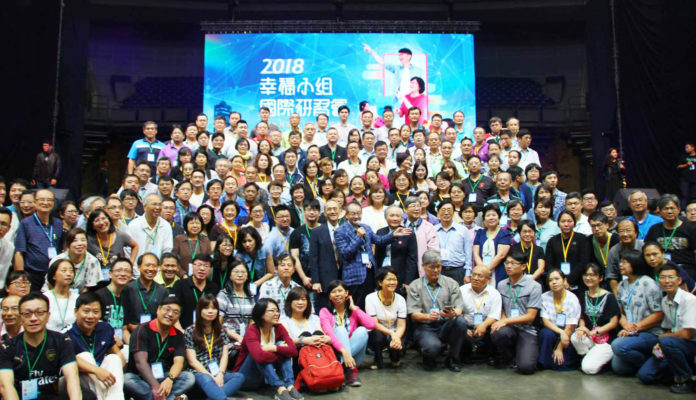 Over 10,000 Christians from southern Taiwan attended an evangelical International Workshop of Happiness Group from July 24 to 26 at the Kaohsiung Arena. In this three days’ workshop, except opening service and worships, there were 13 sessions hosted in turn by 4 pastors from Kaohsiung’s Blessed & Blessing Church(BBC). Rev Young Sih-ju, chief pastor of BBC, stressed to the audience that the top priority task of church is the evangelical mission! Preaching the good news of Jesus is a routine and must-do job for every Christian, Rev Young said, and everything done by the church, be it a group assembly, charity in community or evangelical assembly, are always set to witness and proclaim the gospel. Rev Young pointed out that, if a church wished to practice the evangelical method of Happiness Group, first the mentality of the church has to be changed: not passively wait for people coming into church, but actively contact the non-believers with a “customer-oriented” language and mind set. “Don’t engage with the brain, but the heart”, reminded Rev Young. Rev Pan Ching-chang, pastor of Tong-Men Presbyterian Church of Chiayi Presbytery, shared his observation of three characteristics of the evangelical methods of Happiness Group: highly positive, good team-work, super-friendly to non-believers, which were absolutely worthy to be learned among local congregations. 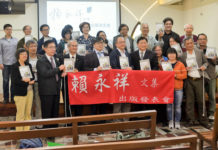 Rev Tsai Ann-Luh, pastor of Tai-Kong Presbyterian Church of Tainan Presbytery, shared his thoughts about various evangelical methods practiced in his church. 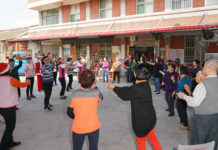 As Tai-Kong Church has already implemented the method of Happiness Group over 15 months, Rev Tsai said, adding that he could not find any other missionary platform is more outstandingly effective than that of Happiness Group – a wonderful gift and blessing from Blessed & Blessing Church!